Every historic place has meaning for those of us who care about the preservation of historic spaces, but there is something about an old cemetery that captures our imaginations and calls us to linger. Often, families are no longer nearby to tend these gravesites. The preservation community has a special role in protecting these sacred spaces. 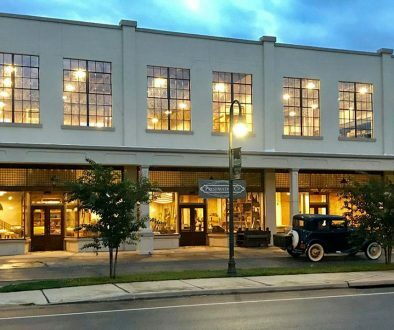 A workshop recently sponsored by the Historic Huntsville Foundation helped address this need. 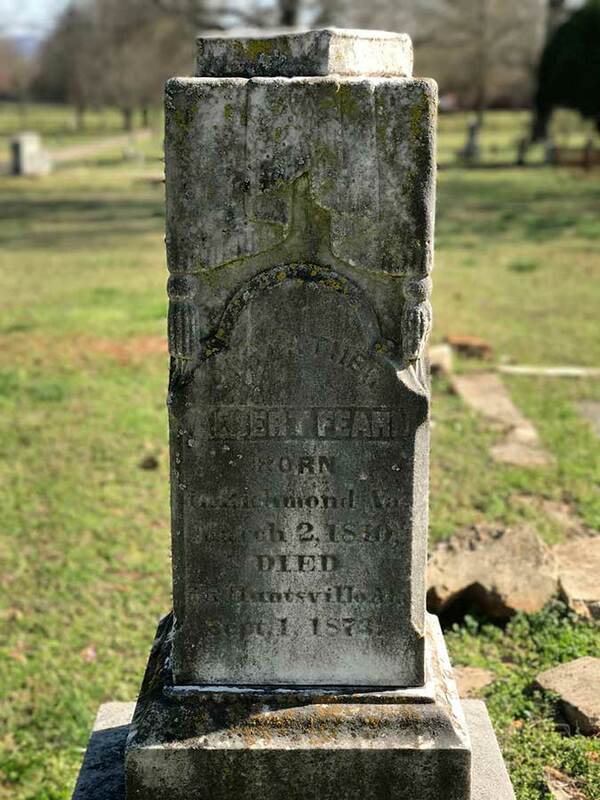 Partnering with the City of Huntsville, HHF held a two-day Cemetery Conservation Workshop at Glenwood Cemetery, an African-American cemetery established by the City of Huntsville in 1870. Jason Church led the workshop. Jason is a materials conservator with the National Park Service’s Materials Conservation Program. Before joining the National Park Service, Jason was the conservator and metals expert for the city of Savannah, Georgia’s Department of Cemeteries. 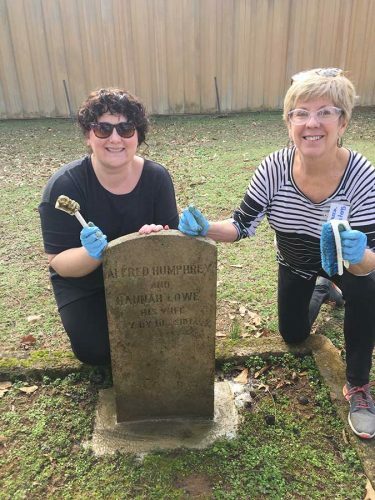 The Cemetery Conservation workshop provided education and training to members of the Huntsville-Madison County community interested in maintaining, restoring and researching the history of our historic cemeteries. Personnel from the cities of Huntsville and Madison Cemetery Departments and staff from the Alabama Historical Commission attended the conference along with volunteers from the Huntsville-Madison County Historical Society, Huntsville Pilgrimage Association, University of Alabama-Huntsville Department of History and Historic Huntsville Foundation for hands-on lessons in the fine art of historic tombstone cleaning, maintenance and repair. Jason explained that cemetery care had once been a touchstone of southern culture. Decoration Day was a red-letter day in church calendars and the gravesites of loved ones were frequently sites for family reunions. 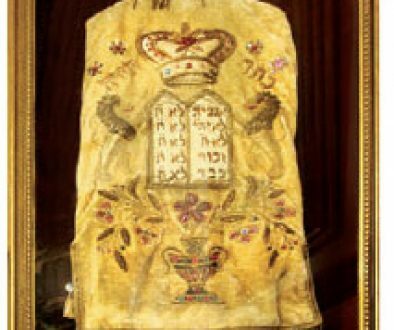 Graves sites and tombstones were regularly tended through these traditions. As children and their descendants relocated to new cities and towns, however, some gravesites became neglected. Without family nearby to tend graves, municipalities who own and manage cemeteries have greater responsibilities. The City of Huntsville manages nine cemeteries, three of which are listed to the Alabama Historic Cemetery Register. Maple Hill Cemetery is also listed to the National Register of Historic Places. Joy McKee, Director of Huntsville’s Operation Green Team and Huntsville Cemetery Director, and her staff work diligently to care for our city’s cemeteries and are especially mindful of the responsibilities associated with Huntsville’s historic cemeteries. The tombstone of Hoot James; Made from bricks and ceramic tile squares. Those buried in Glenwood Cemetery have a history unlike any other in our city. An African American Cemetery founded by the City of Huntsville in 1870, Glenwood Cemetery is Huntsville’s oldest surviving African-American burial ground. Glenwood is the resting place of people born slaves, emancipated, and who lived out the remainder of their days in the separate-but-equal south. Buried here are people of great accomplishment, including doctors, educators, clergymen, political leaders and artisans. Tombstones identify those who fought in America’s war, men who risked their lives in defense of a nation who denied their civil rights. City of Huntsville Cemetery Director Joy McKee is determined that the people buried in Glenwood Cemetery and their contributions to our community are never forgotten. 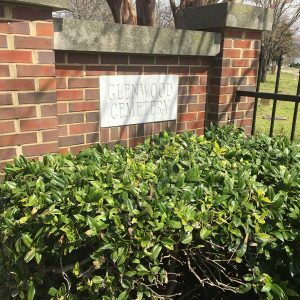 No burial records for Glenwood were kept until 1950s and there was no historical plot of the cemetery. Working with community volunteers, McKee and her staff coordinated a project that identified, located and cataloged all the graves in Glenwood cemetery, many of which were unmarked. Their efforts led to the listing of Glenwood Cemetery to Alabama’s Register of Historic Cemeteries. McKee anticipates that the city of Huntsville will pursue a nomination of Glenwood Cemetery to the National Register of Historic Places. The history of Glenwood Cemetery really begins with Georgia, Huntsville’s first African American cemetery established on two acres of land sold by LeRoy Pope to Huntsville City Commissioners in 1818. The site of the original Georgia cemetery is on land now occupied by the Huntsville Hospital parking garage, near the intersection of Madison Street and St. Clair Avenue. Huntsville leaders decided in 1870 to establish a new African American cemetery on the city’s western boundaries, on ten acres of land between Holmes and Clinton Avenue. As no one kept burial records of those buried in Georgia, it is unknown how many graves were moved from the Georgia cemetery to Glenwood and how many bodies remain in the ground beneath the hospital complex. 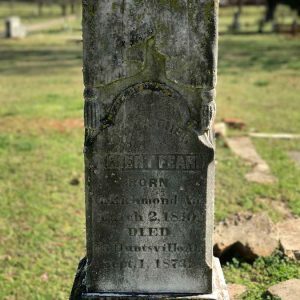 The first efforts to those identify and document those buried at Glenwood began in 1993 when Mrs. Ollye Conley took her students from the Academy for Space and Foreign Language to the cemetery on a search for Huntsville’s African American history. Documenting Glenwood Cemetery became a special project of the Academy, as Mrs. Conley, students and parents used information from tombstones to research those buried their and their history. Mrs. Conley and her students received commendations from Presidents Clinton and Bush for their work. 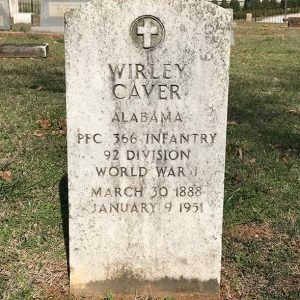 The research compiled by Mrs. Conley and her students led to the listing of Glenwood Cemetery to the Alabama Historic Cemetery Register in July 2015. 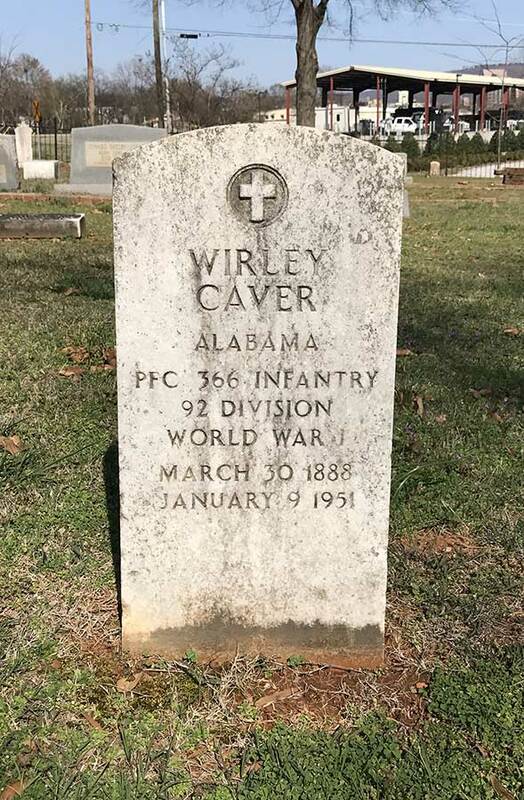 This project was a collaborative effort with Alabama A&M University graduate students Deirdre Childress and David Stovall, retired AAMU professor Joseph Lee, Mrs. Conley and City of Huntsville cemetery staff. This core group prepared the documentation and submitted the application to the Alabama Historical Commission. 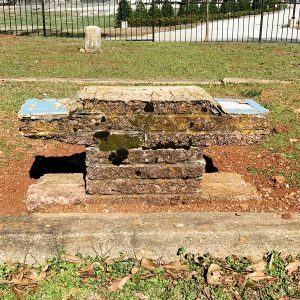 Listing to the Alabama Register opened the door for a city-funded project that pulled in archaeologists, anthropologists, preservationists and community volunteers that created a plot map and reconstructed an inventory of all those buried at Glenwood Cemetery. This survey and map shows who is buried where, and it also identifies unmarked graves. One goal of compiling this information is to put it in the hands of individuals searching for their family histories. All the names and information on tombstones will be placed in a public database where it can be available for public use. This would help those doing genealogical work and also help those interested in slavery or researching Huntsville’s African American community. The grave database gives researchers a tangible way to connect to this history. The next potential milestone in Glenwood’s future is listing to the National Register of Historic Places. This designation would give Glenwood Cemetery and those buried there the recognition they deserve. 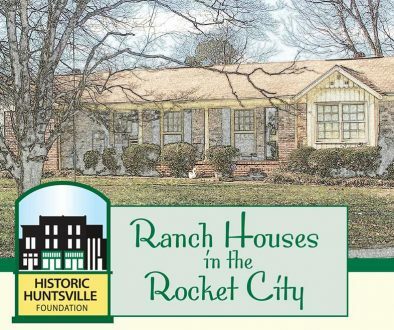 The Historic Huntsville Foundation has pledged our support for this endeavor. Building community support for Glenwood Cemetery is a priority of the City of Huntsville. 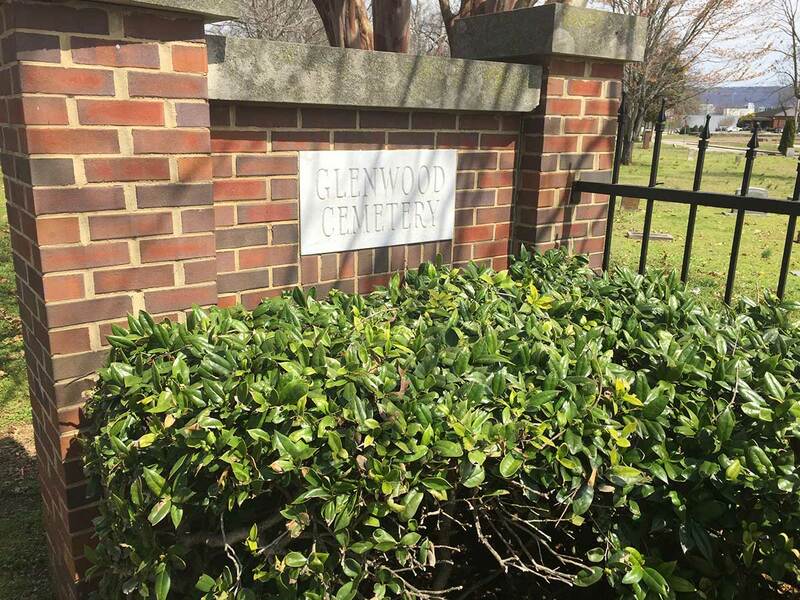 Joy McKee is hopeful that as more people come to learn about Glenwood Cemetery and its place in our city’s history, they will consider supporting efforts to repair headstones and other cemetery beautification projects. 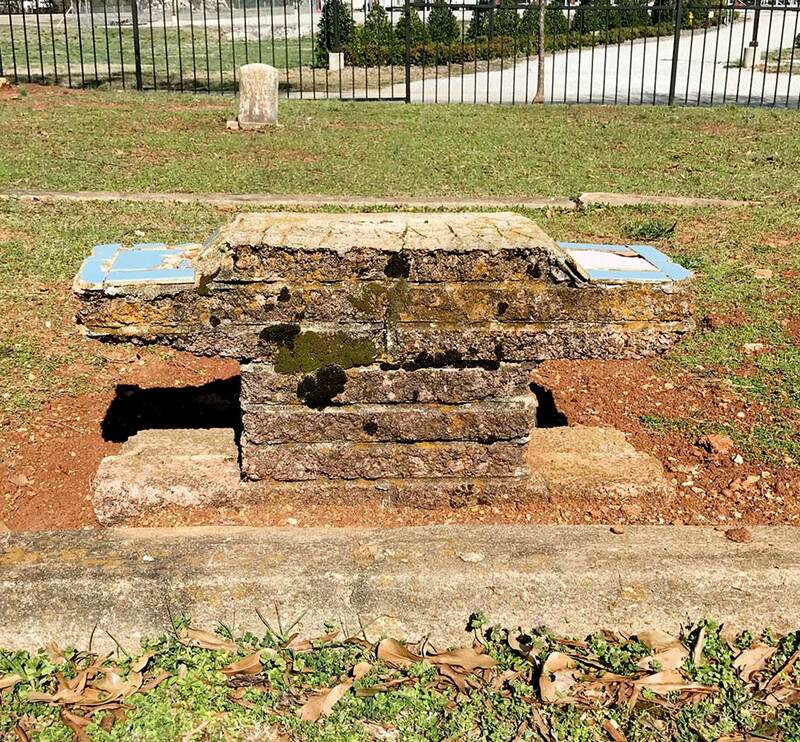 In fact, one reason the Cemetery Conservation Workshop was held at Glenwood Cemetery was so volunteers could work with trained professionals to repair Glenwood’s broken tombstones. There is a solemnity to Glenwood Cemetery, a peaceful dignity that uplifts the spirit and touches the soul. The people buried here came from all walks of life; they were mothers, fathers, brothers, sisters, husbands and wives. People rejoiced when they were born and grieved when they died. By preserving Glenwood Cemetery, we pay our respects to those buried here and their history.